I would like to thank you for the fantastic job you have done. From the design to the construction I have been extremely please each step of the way. I was grateful for the way you managed to keep disruption for the children to a minimum. The children and staff are really enjoying the space you have created and parents are very impressed. We are very pleased with the work done by PALS. Peter’s design for out Patio was imaginative and appropriate, and took into accounts our own wishes and ideas. He went considerable lengths to obtain materials that would harmonise the existing stonework in our garden. The work was carried out efficiently and with a minimum of fuss, despite difficulties with the access to the site. Peter and his team were professional and pleasant, and were considerate of our needs and wishes throughout. This is a lovely Patio and garden makeover. Peter has an excellent eye for detail and design. Peter and his team know how a Patio should look when finished. If all Gardens were done to this standard there would be no complaints. I know that I can recommend PALS to any prospect customer. I am glad to be able to write a reference for PALS. 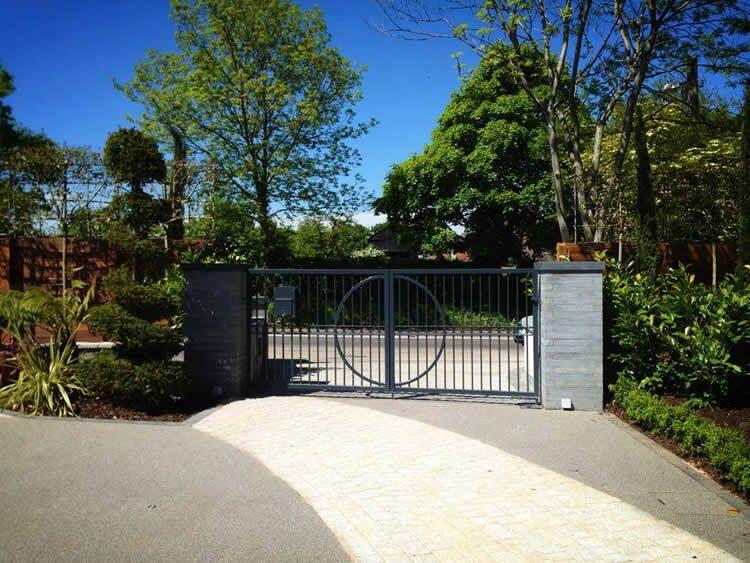 Their ideas were original and creative, provided us with an outstanding service from start to finish and we appreciated the excellent workmanship particularly at the planning stage. 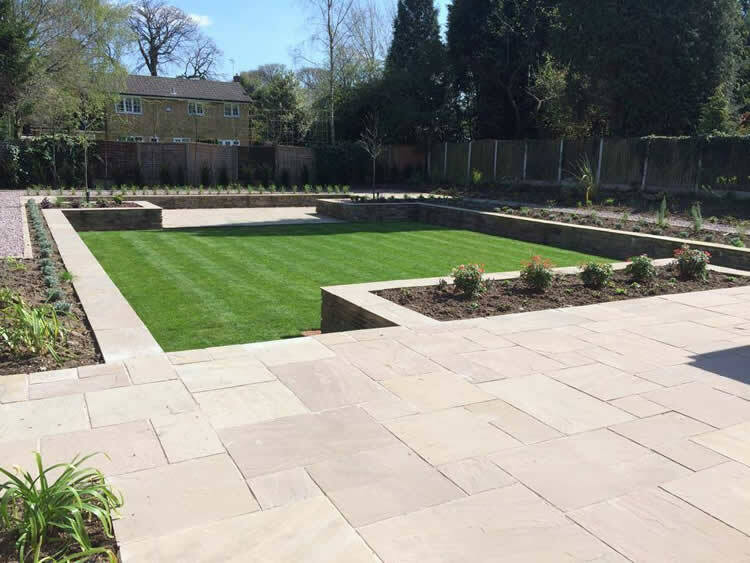 Their attention to detail, together with an excellent landscaping plan helped the work run smoothly and most importantly was completed as per quotation. They are conscientious, hard working, reliable and would recommend them without any hesitation. 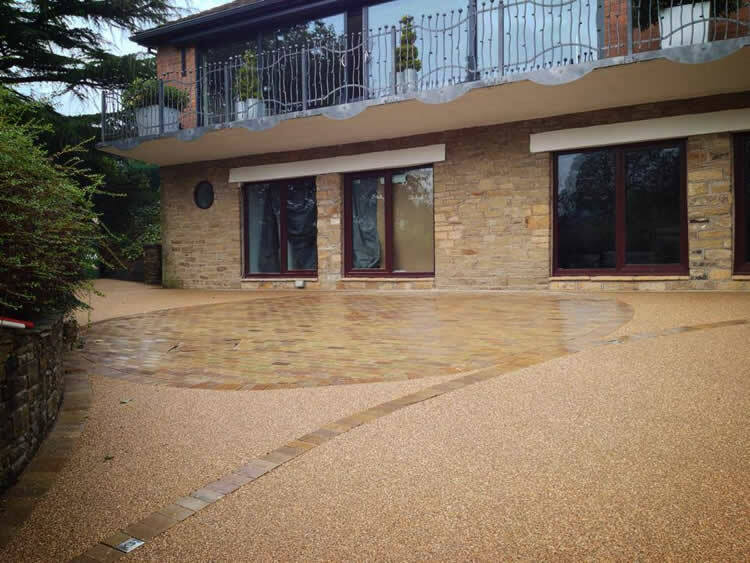 We are writing to you to express our total satisfaction with the work you did in laying our patio. Right from the outset when we gave you an indication of what we wanted and your subsequent design interpretation, there was a very professional attitude and a high quality of work displayed throughout. Both you are your colleagues displayed a friendly and pleasant manner during the whole job. They were also very considerate and always left us tidy each evening. You were also very flexible after any approach from us and it was a pleasure to have you around. 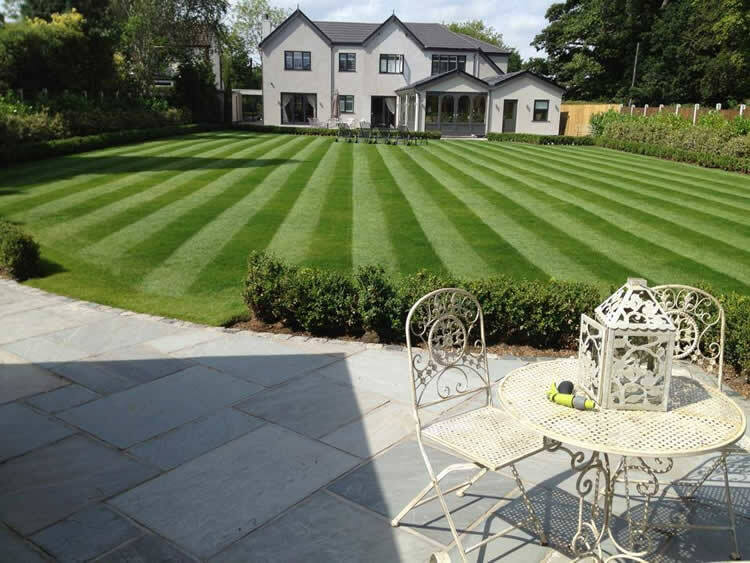 The garden looks exactly as we had hoped it would and we are pleased to recommend PALS to any prospective customer. Thank you. 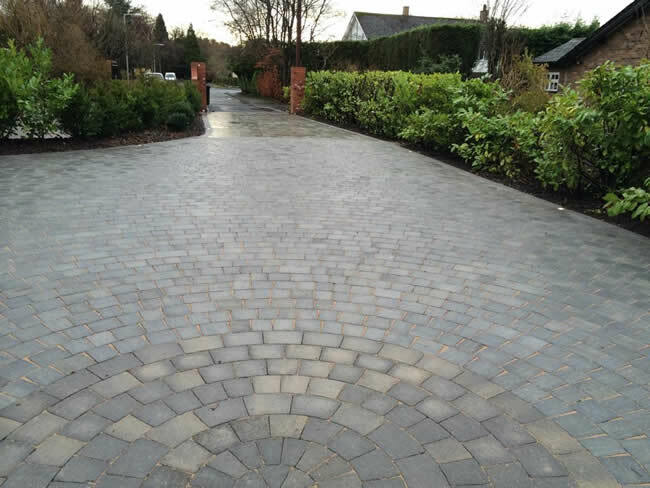 After employing Peter and his colleagues to construct our new driveway, we are absolutely delighted with the finished product that has exceeded our expectations, with the house and the surrounding areas being just as we hoped they would be. From the start PALS took care of all eventualities, from advising of the detailed planning with accurate drawings, through the preparation stages of laying sub levels with meticulous care, to the laying of the drive stones which were a great match in style and layout and in perfect keeping with the house. 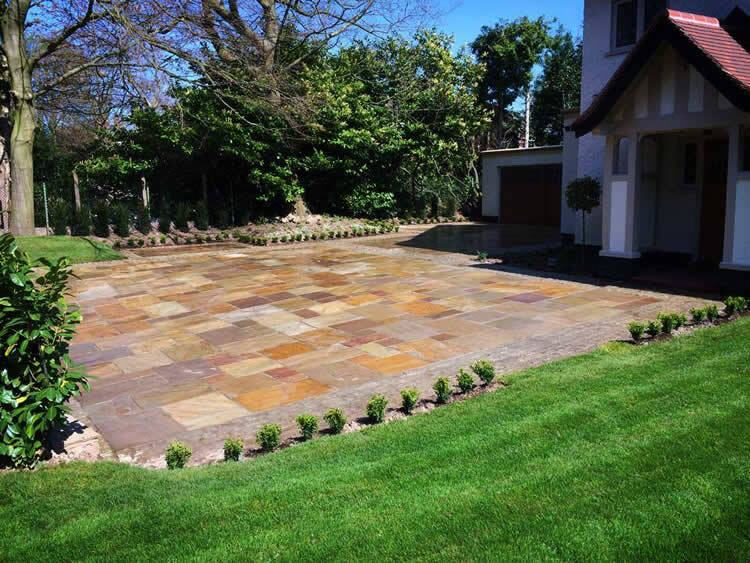 We would most definitely recommend PALS to carry out any related work and can also commend the manner in which the work was completed with a friendly and professional approach throughout. Peter and I discussed our garden at length; he took his time to find out my requirements and came up with some great ideas. He carried out the work promptly ad considerately and within the time and costs quoted. I had no hesitation in recommending him to a friend. We are delighted with your hard work and ideas to improve our back garden and would highly recommend your company PALS to anyone considering work on the patio and gardens. We contacted PALS in September 2006 to give us some ideas about drainage and landscaping of our back garden. We were impressed with Peter Longbottom’s organisation and professional response to our request. Peter provided a scaled drawing of the back garden showing ides to improve both the drainage and appearance. We met several times to discuss ideas and most importantly price, Peter advised us accordingly and kept within our budget. At all times Peter kept us informed of any changes and stuck with the job until completion, which was very important to us. Peter considered our neighbours requests and made sure that the areas around our property were cleaned. Despite the terrible weather we were impressed at the hardworking approach and how PALS ‘manned up’ to ensure hire costs and disruption were kept to a minimum by having 4 – 5 labourers on the excavation work. We are looking forward to enjoying our garden to the full.